Use of the HCG hormone is based on the research of Dr. Simeon, a British physician. After observing malnourished women in India giving birth to perfectly healthy babies, he discovered that Human Chorionic Gonadotropin, or HCG, occurs in a woman’s body during pregnancy to allow a fetus pull nutrients from fat stores even if the mother is not getting enough nutrition. Dr. Simeon discovered a definite connection between HCG and the body’s ability to metabolize fat stores in both men and women. When paired with a low calorie diet, HCG can be used to break down fat stores and convert them to energy. This can occur even if the woman is not pregnant. The hormone pumps excess nutrients into the body’s blood stream while simultaneously suppressing appetite and conserving lean muscle mass. Human Chorionic Gonadotropin or HCG, is known to most people as “the pregnancy hormone.” In the first week of life, the embryo secretes HCG after which the placenta takes charge of production. This hormone has been acknowledged in modern day medicine since the 1920’s. HCG has been utilized as a fertility supplement for men and women for 70+ years. At Renewed Vitality, the HCG hormone is advised to be used once daily by rubbing the cream on the arms or legs. If the patient’s preferred method is injection, that is available as well. The diet includes 5 separate phases with an initial cleanse being optional. There have been a lot of false representations of “HCG” that have been advertised as diet plans. The “HCG drops” available on the internet are not the actual hormone, but rather consist of various amino acids. They are not the real deal. The HCG that Renewed Vitality providers use is the actual hormone, compounded through a high quality compounding pharmacy. A healthier heart – heart disease has become an epidemic. When you lose weight, your heart doesn’t have to pump blood to as much tissue in turn putting less stress on the heart. Happier relationships – when you lose weight, you have more confidence. On average, women lose 20 to 30 pounds and men lose 25 to 35 pounds after six weeks on the HCG diet (Your Results May Vary). Seeing the scale move down a half-pound to a pound each day is a huge motivating factor! HCG causes the body to release 1500-2500 calories from it’s fat stores each day. This released fat is then used for extra nutrients that you omit while following the diet. While on The Vitality Diet, you are not required to exercise intensively. If you follow the diet strictly, you have a high probability of losing weight. This diet has an extraordinary success rate. 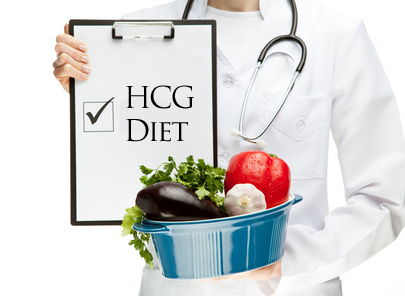 There are numerous benefits from the HCG Diet, of which include less hunger and cravings. The HCG hormone increases energy and helps suppress appetite. Most people do not feel hungry while on this low calorie diet. The fat stores that are being released fuel and nourish the body and supplement the food being eaten. What part does HCG cream play in your weight loss journey? HCG is responsible for keeping your metabolism at a high level and permitting your body to break down about 1000-2500 fat calories daily. This released fat is used for your body’s main energy source throughout the day. Your muscle mass is protected since the HCG only allows fat to be broken down. Hunger is not a problem with the use of this hormone. The excess fat that is being broken down in your body’s system will provide the calories, nutrients and energy that you need for the day. You will be rewarded and further motivated as you see the weight come off and your clothes begin to loosen. The HCG Diet was found by Dr. Albert T.W. Simeons, who lived from 1900-1970. He studied in Germany and graduated in Endocrinology with high honors from the University of Heidleberg. Dr. Simeons went on to attend the School of Tropical Medicine located in Hamburg. After completing his education, he made multiple medical advancements including finding cures for Malaria and various other tropical diseases. He was awarded the Red Cross Order of Merit for his work in the medical field. In 1931, Dr. Simeons moved to practice in India. While there, he discovered the Human Chorionic Gonadotropin Hormone. He noticed that Indian babies were being born in perfect health even though their mothers were very undernourished. Dr. Albert Simeons began investigating pregnancy hormones and discovered that HCG was enabling the fetus to pull nutrients from the extra fat stores of the mother’s body. Dr. Simeons published a book called “Pounds & Inches A New Approach To Obesity,” during his time treating Obesity at the Salvatori Mundii Hospital in Rome, Italy. He has made large strides in finding cures for Obesity. As a celebrated endocrinologist, he discovered a very important relationship between the hypothalamus (located in the brain) and HCG with regards to weight gain.